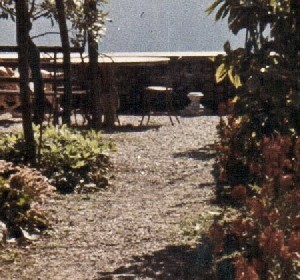 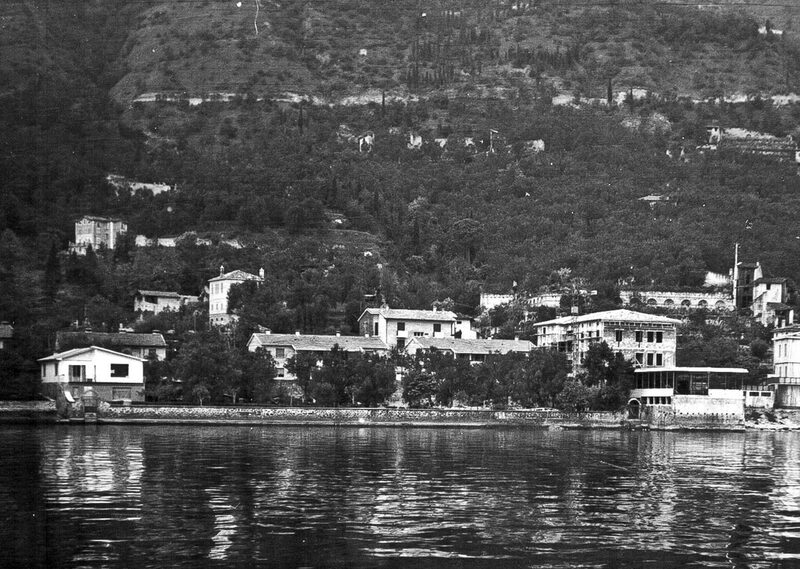 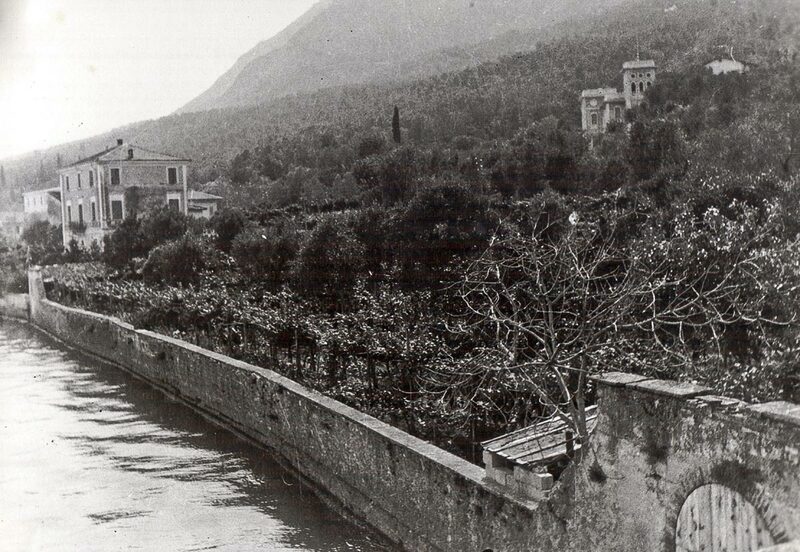 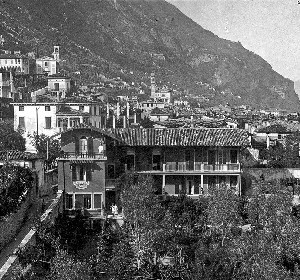 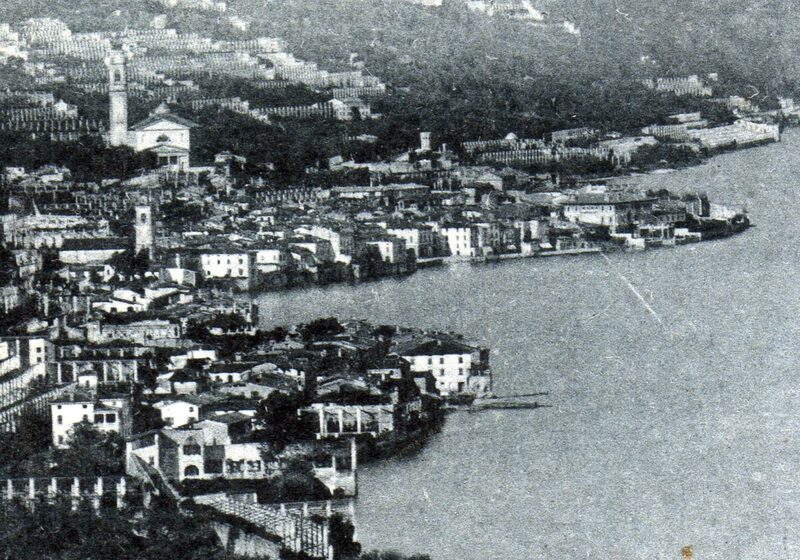 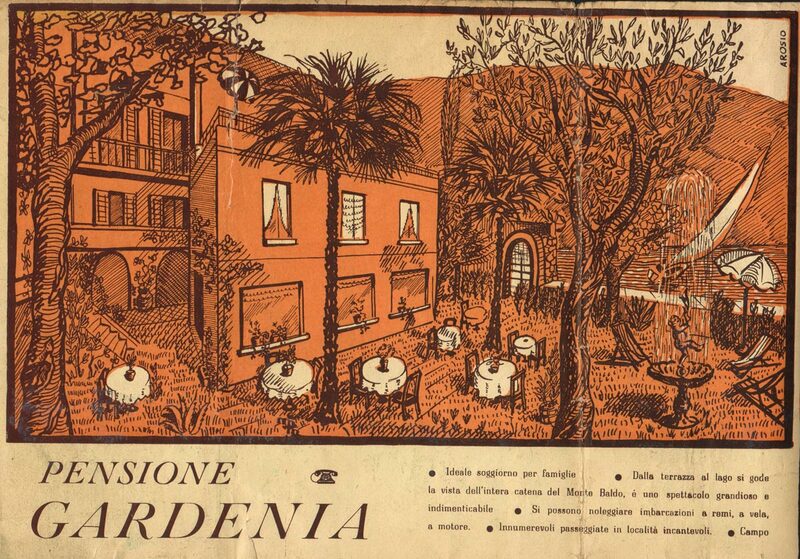 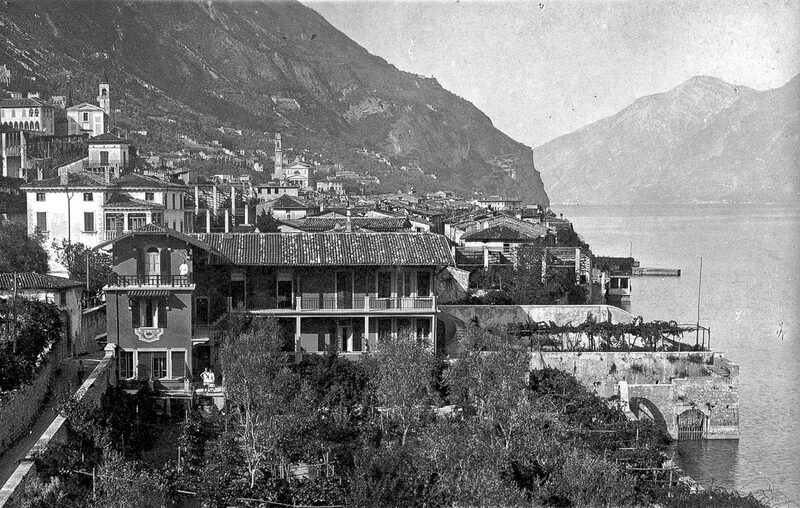 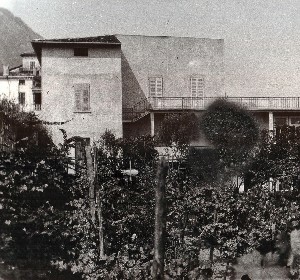 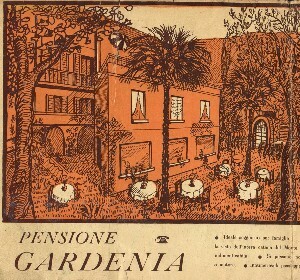 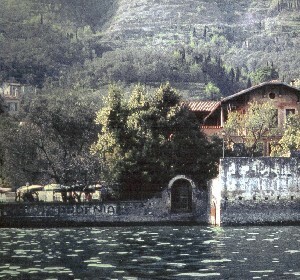 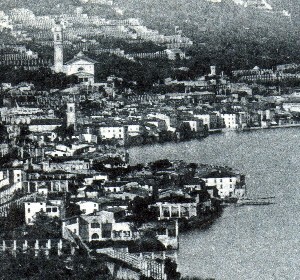 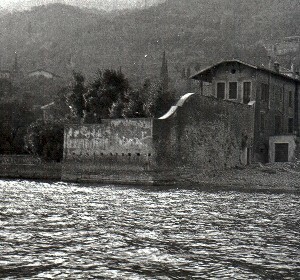 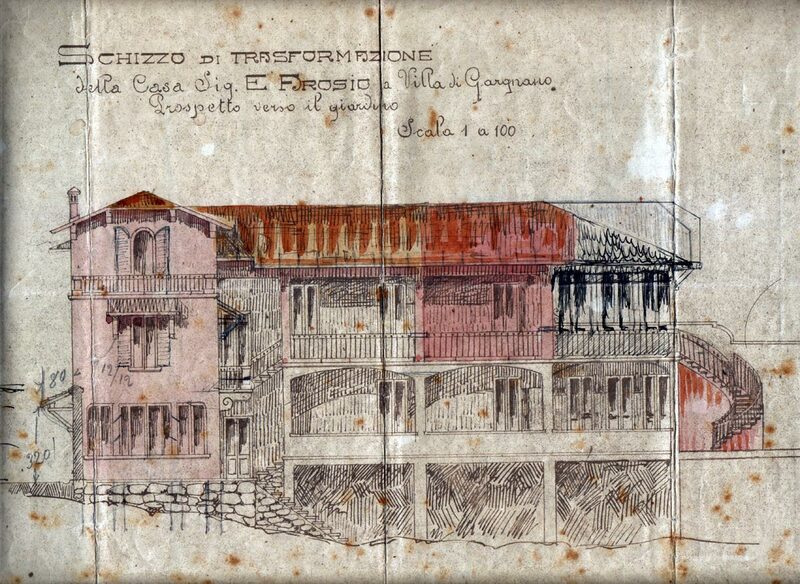 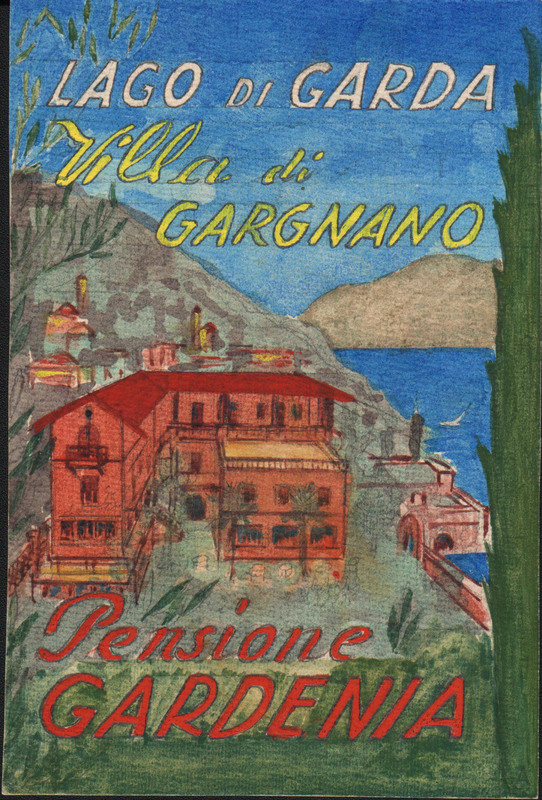 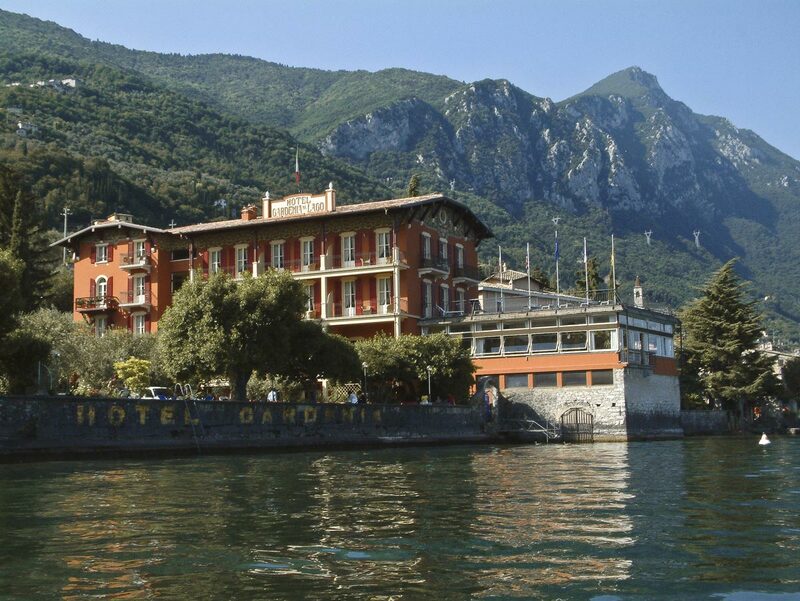 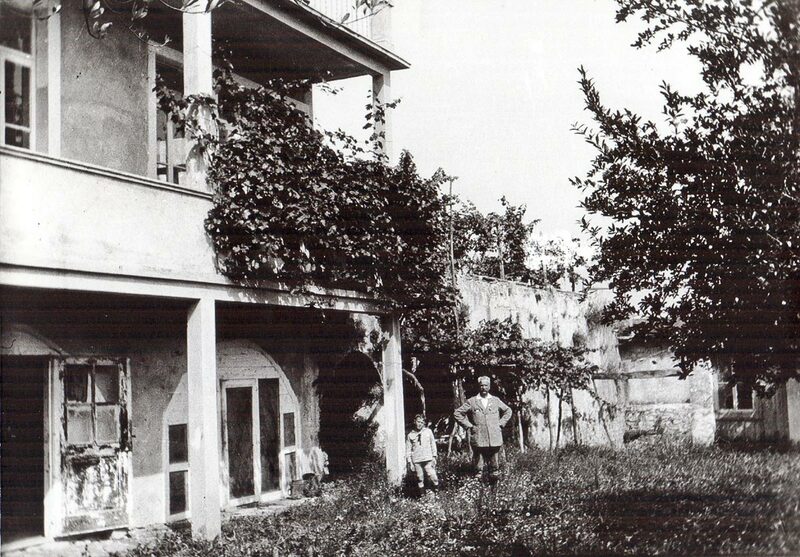 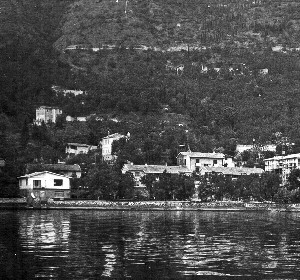 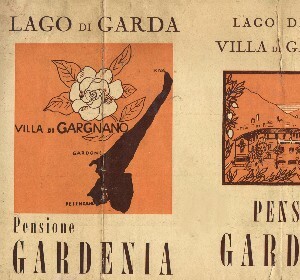 The "Fisco" is the old Nineteenth-Century name for the estate that now houses the Hotel Gardenia al Lago, was a distinctive lemon and olive garden that sloped gently down to the lake. 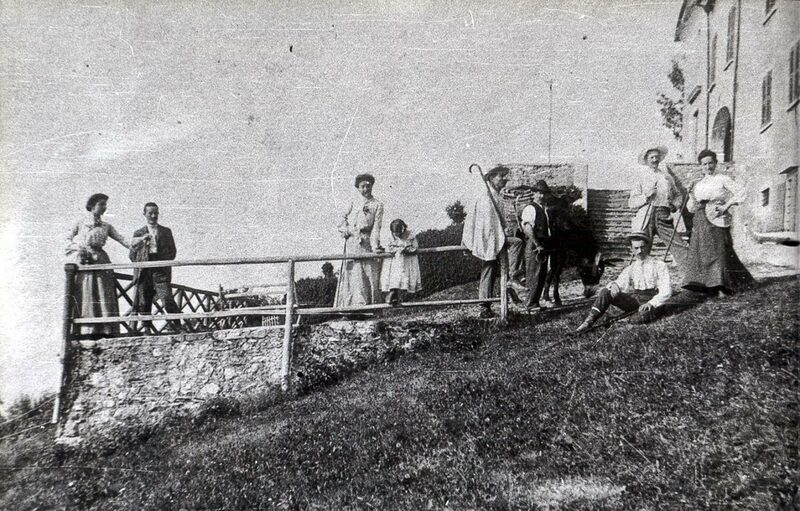 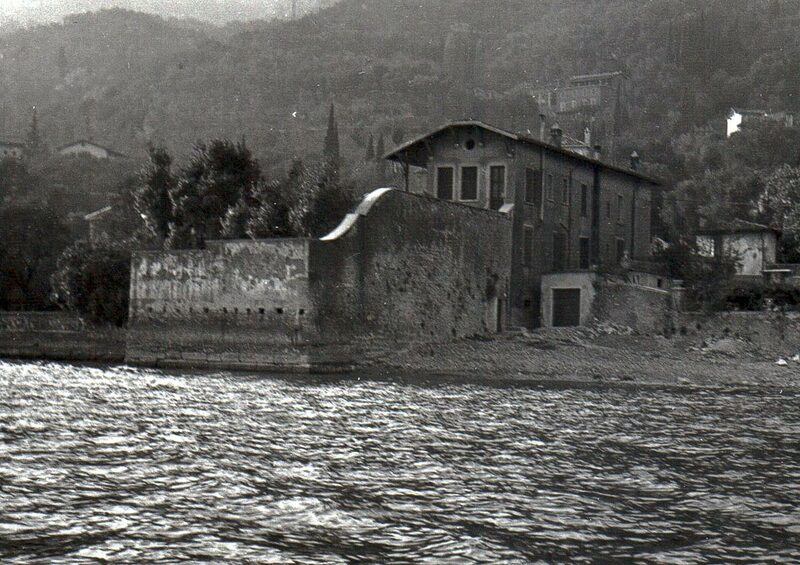 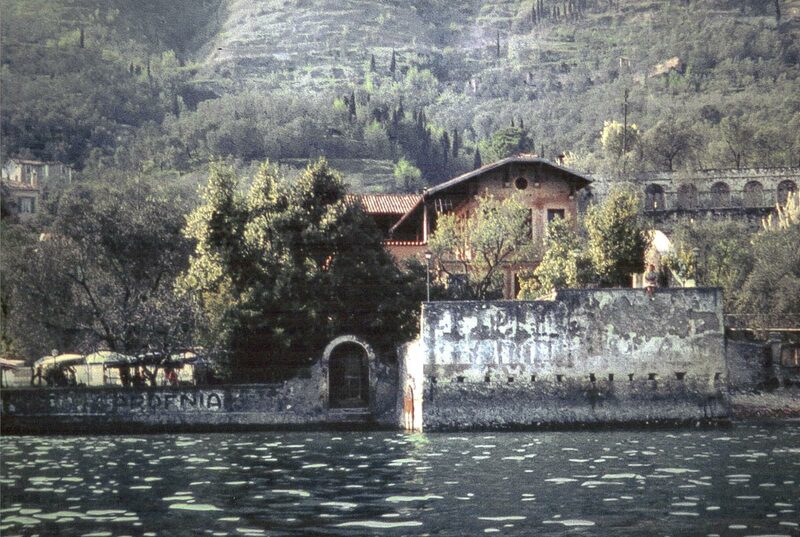 The singularity of this lemon-house was to be seen in the unusual and daring construction of the “look-out point” still visible today, which stands like a monolithic block, rising from the waters of the lake, and that has withstood Garda’s fearsome storms through the centuries. 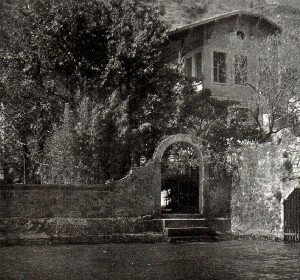 The lemon-house, facing south as is typical, was built above a little storage building with gothic arches, which was converted and enlarged in the early Twentieth Century to become the first house. 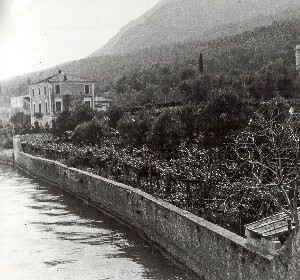 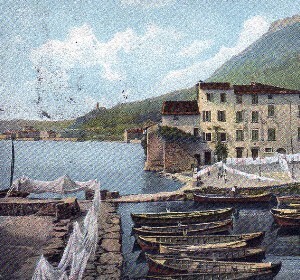 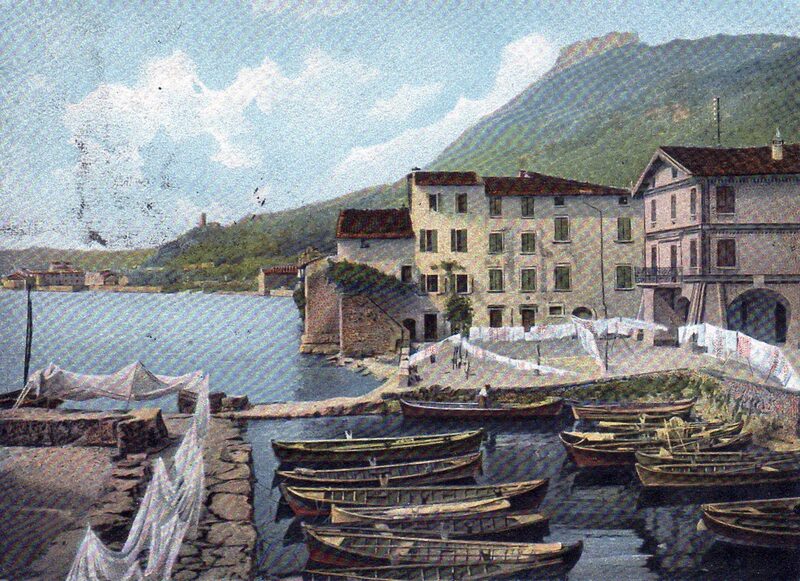 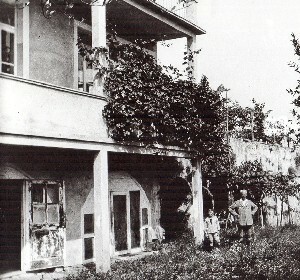 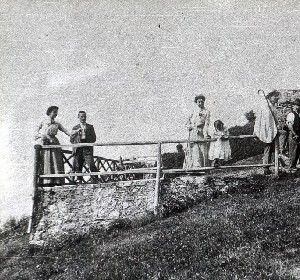 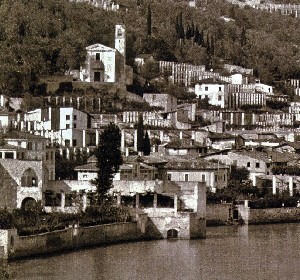 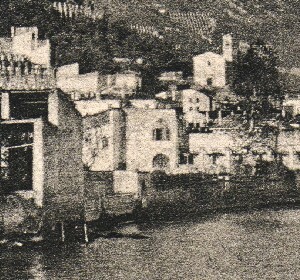 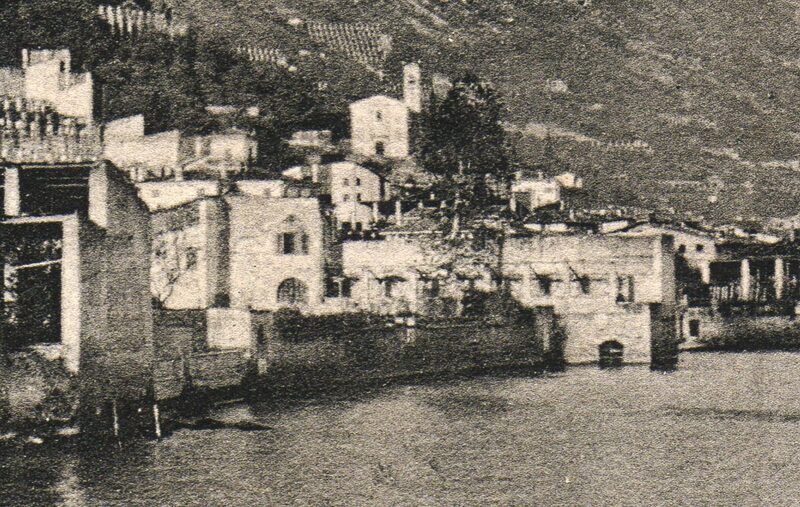 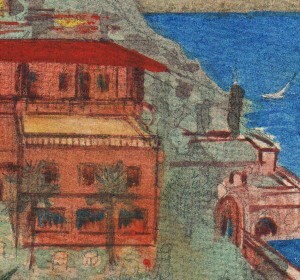 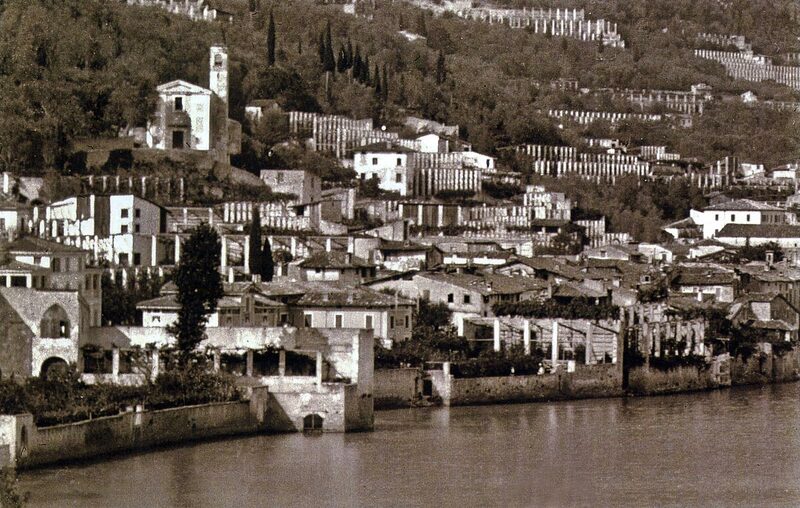 The look-out point, without the lemon trees, became a splendid terrace, and the little quay where the lemons would once have been loaded onto boats became a shelter for the owner’s “Bissa”, a typical local fishing boat. 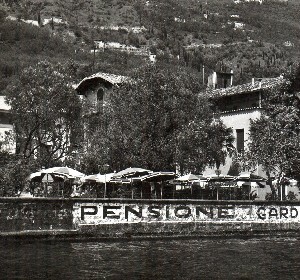 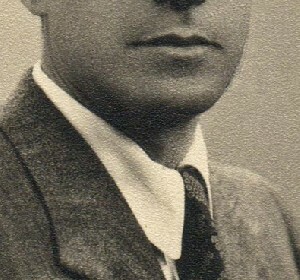 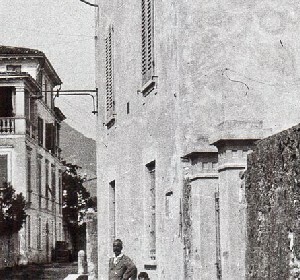 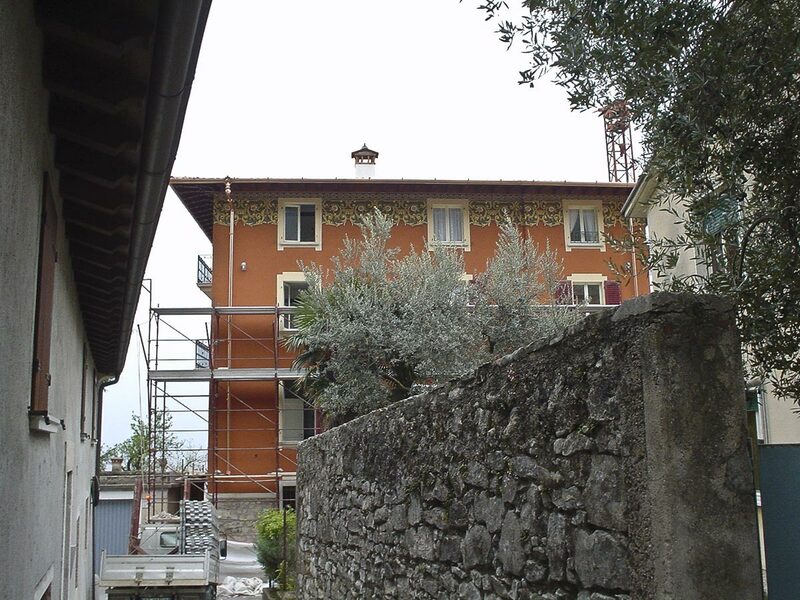 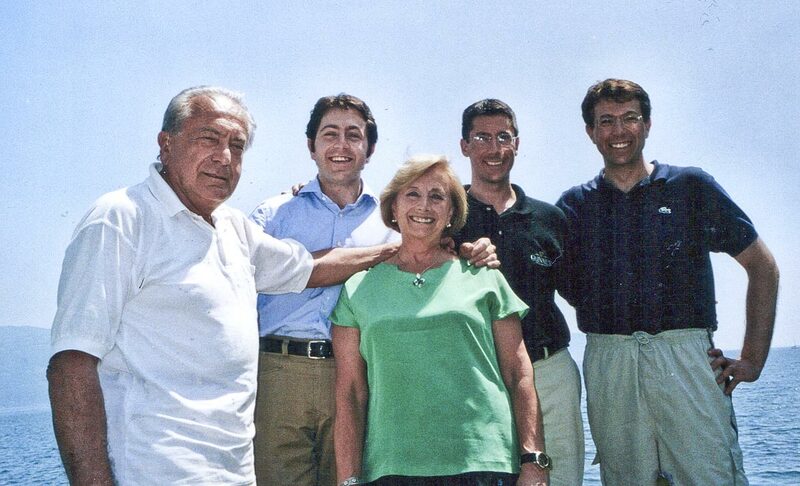 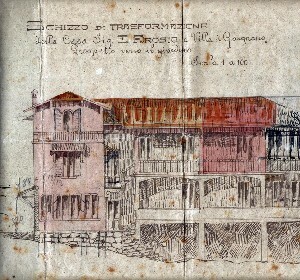 The Arosio family, the current proprietors, bought the “Fisco” in 1925. 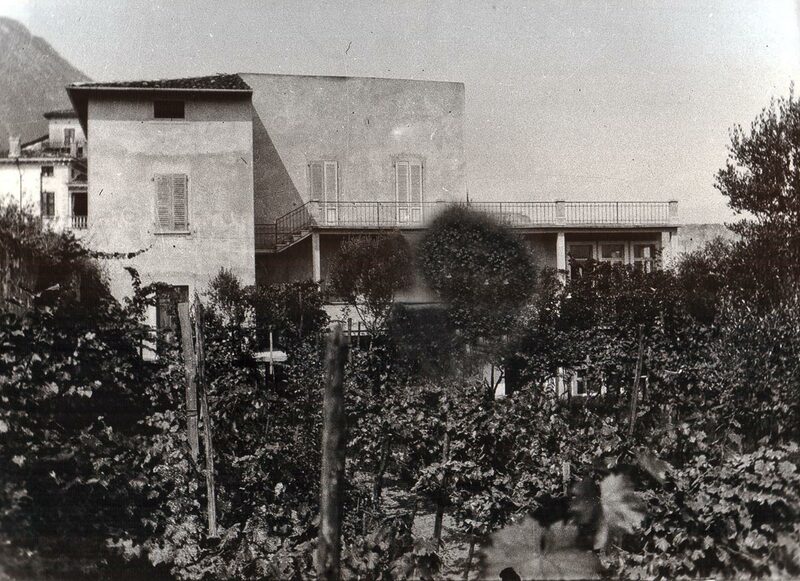 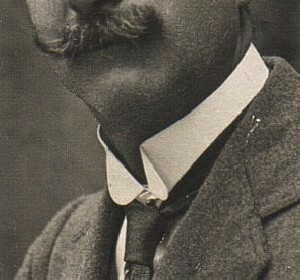 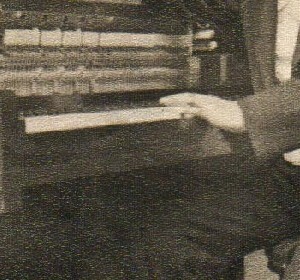 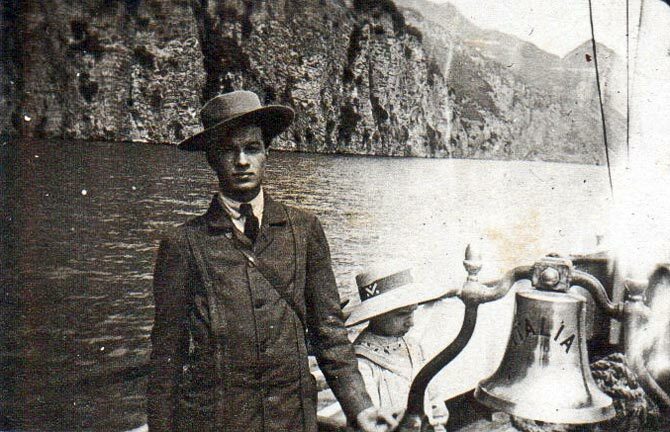 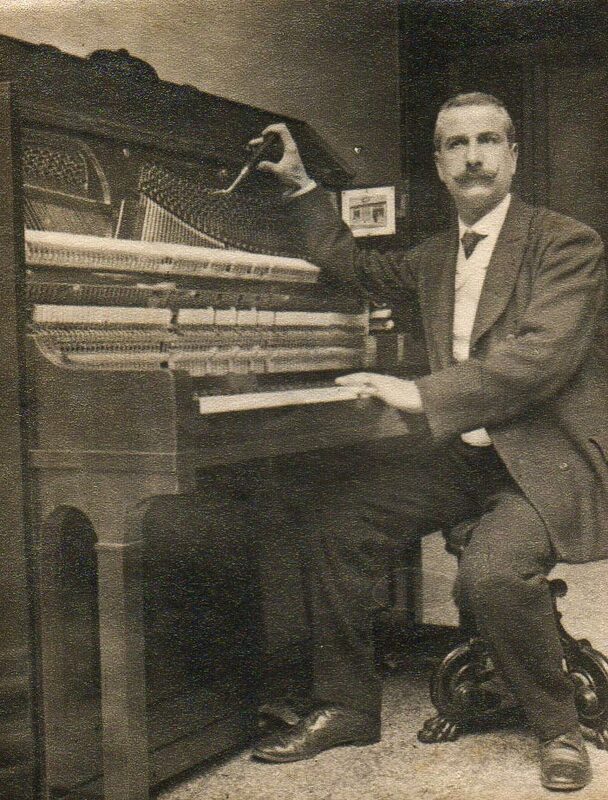 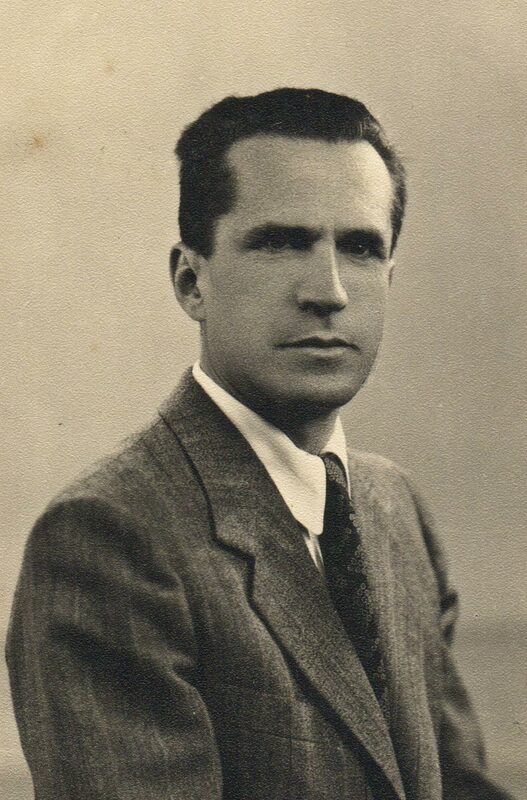 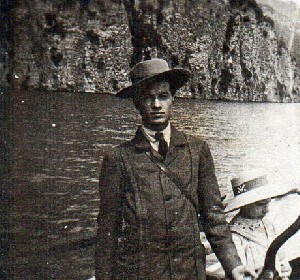 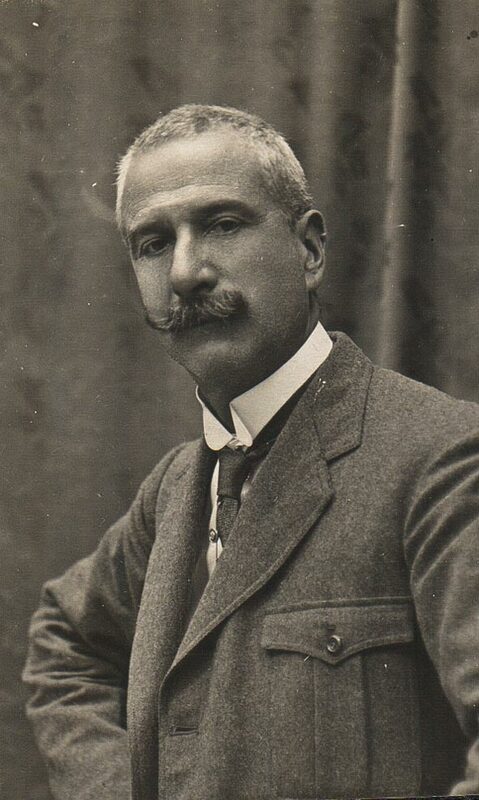 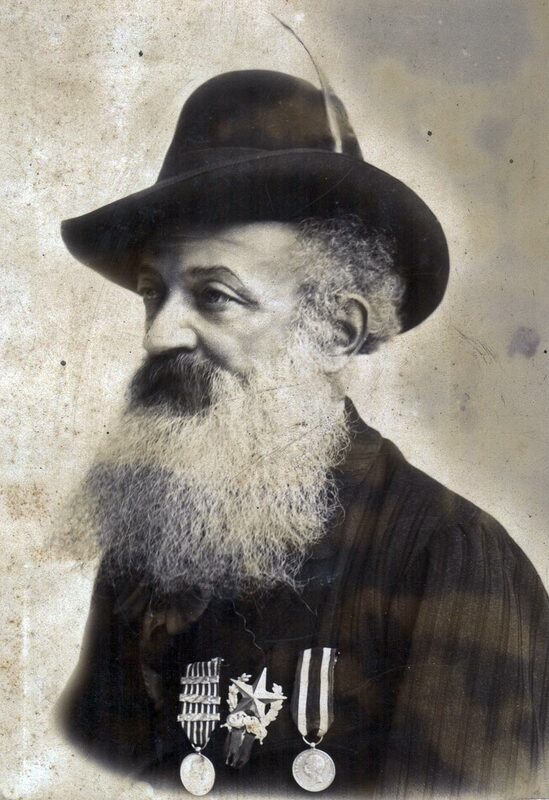 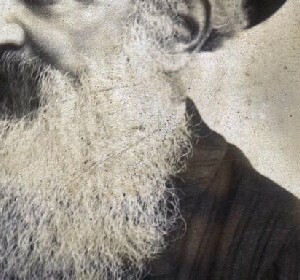 Emilio Arosio, son of the Garibaldian “Alpine Hunter” soldier, Valerio, chose Villa di Gargnano as a holiday retreat from his business in Lodi in the “Arosio” piano factory. 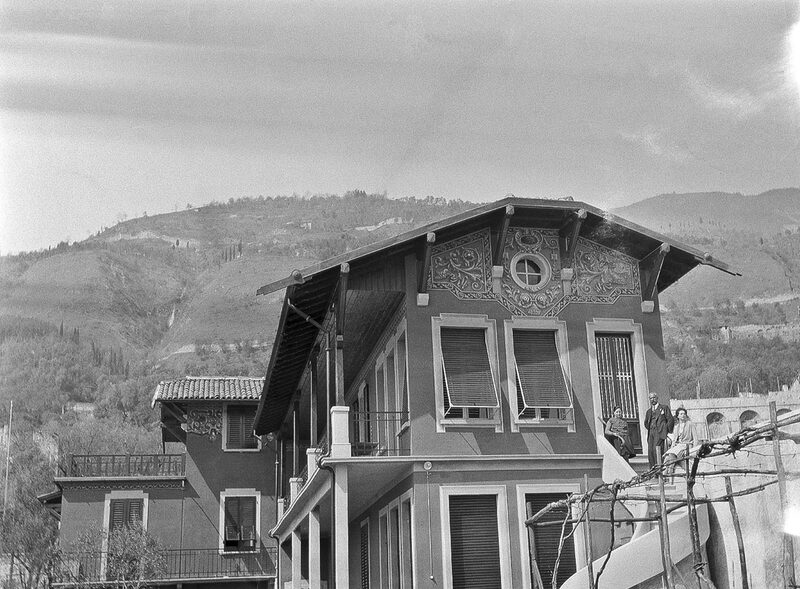 In 1929 the house was knowingly enhanced by the architect Gherardi, and embellished with friezes and decorations by the Beretta brothers, which can still be admired today. 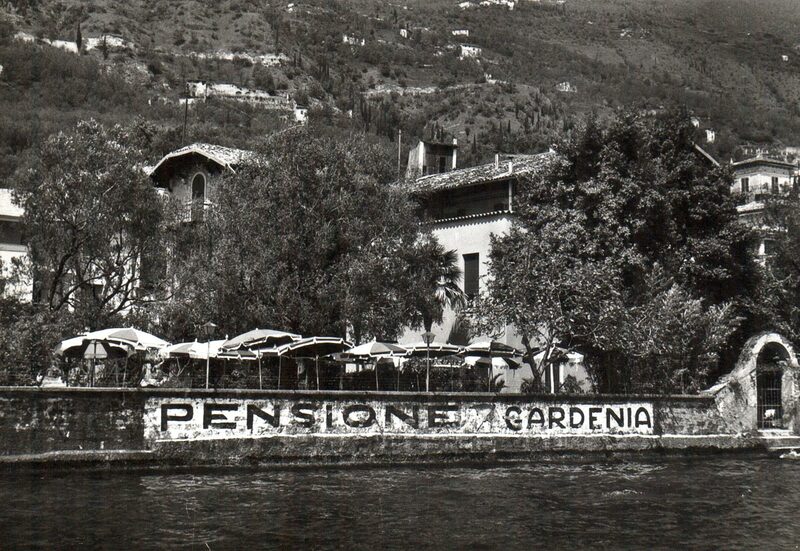 The veranda, the look-out point, the quay and the garden are the communal areas that our guests can rediscover today, soaking up the atmosphere of our house. 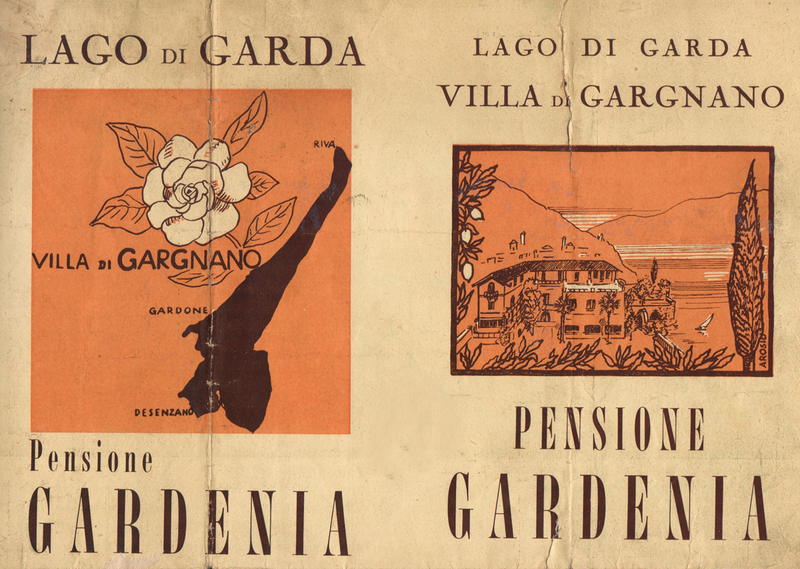 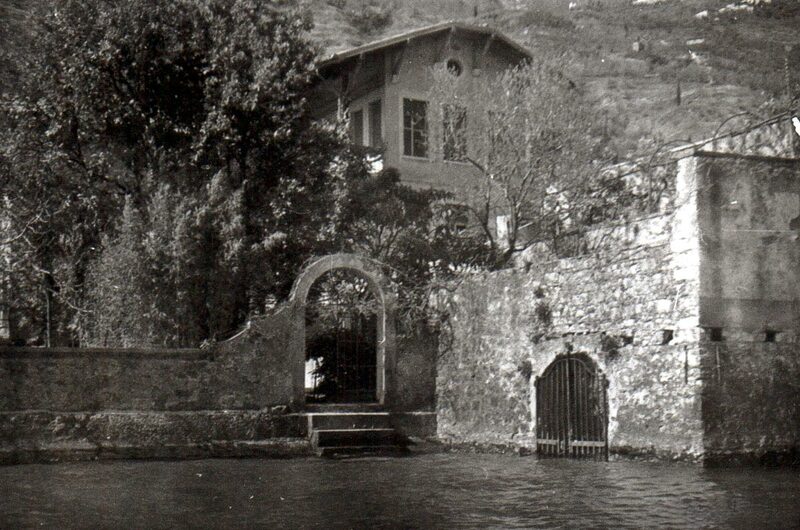 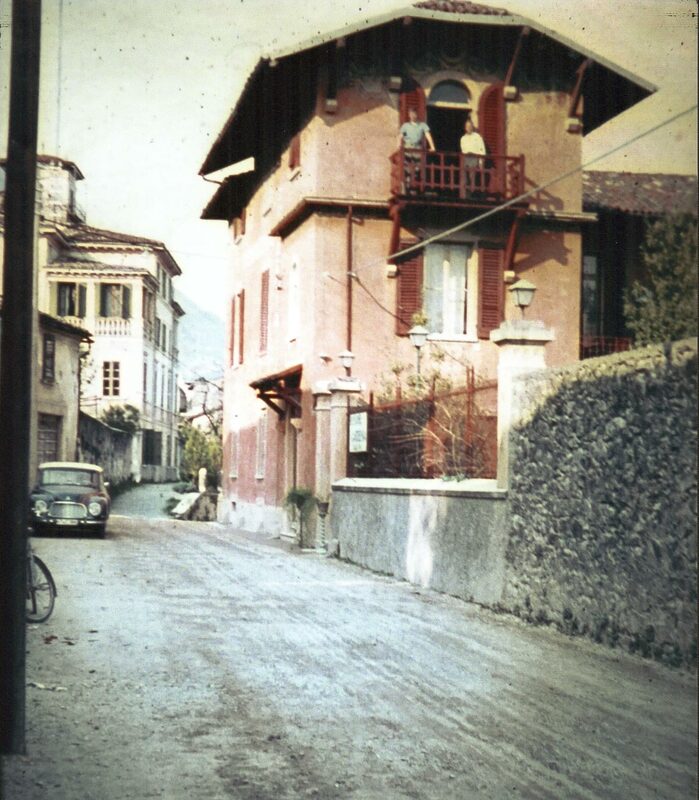 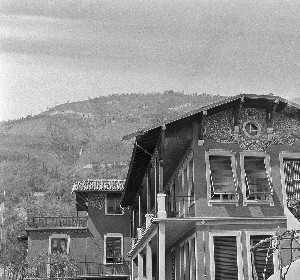 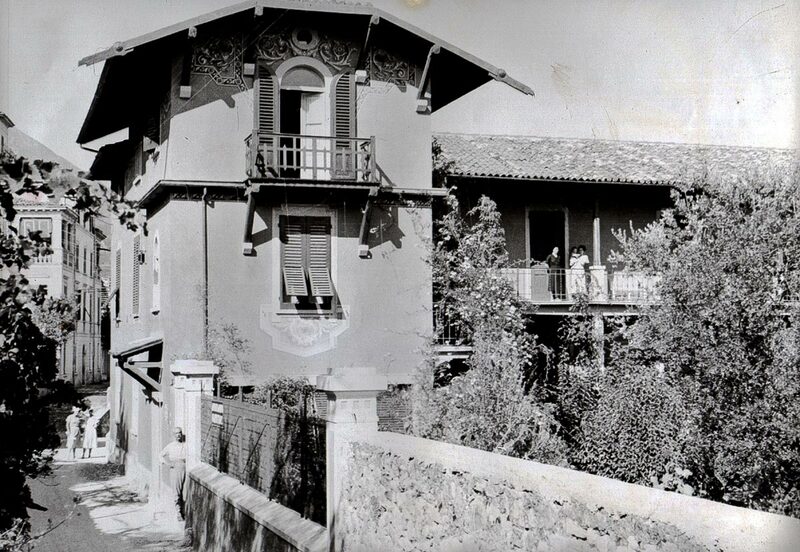 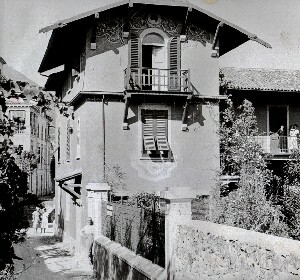 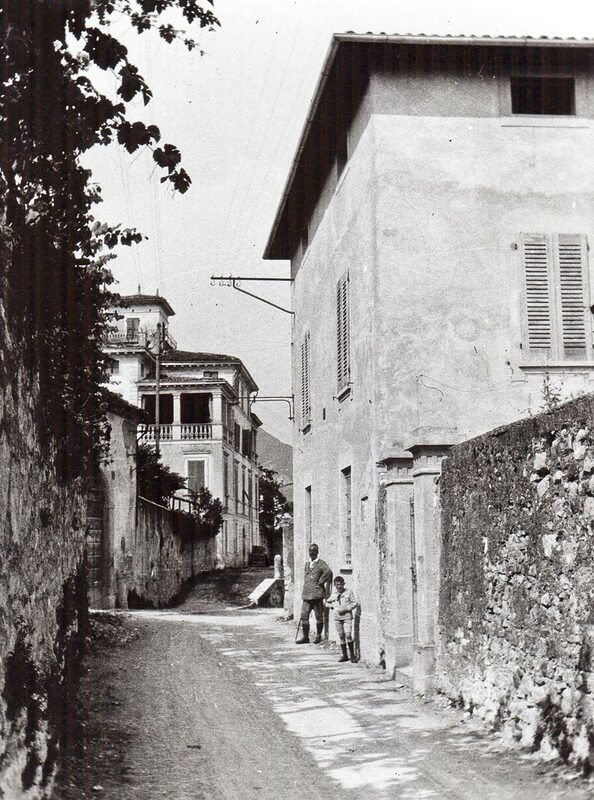 In 1950, Arnaldo, Emilio’s son, and brother of Valeriano and Antonio, who both unfortunately died during the First World War, skilfully converted the house into a guesthouse, and its name, “Gardenia”, was chosen by his wife Amelia. 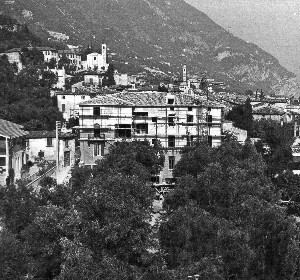 And so the Gardenia Guesthouse was ready to welcome the first tourists, and soon became a destination for families from France and Germany, but especially from England – people eager to retrace the steps and relive the sensations described by D.H. Lawrence in “Twilight in Italy”, staying just a stone’s throw from Villa Igea, where the English writer resided. 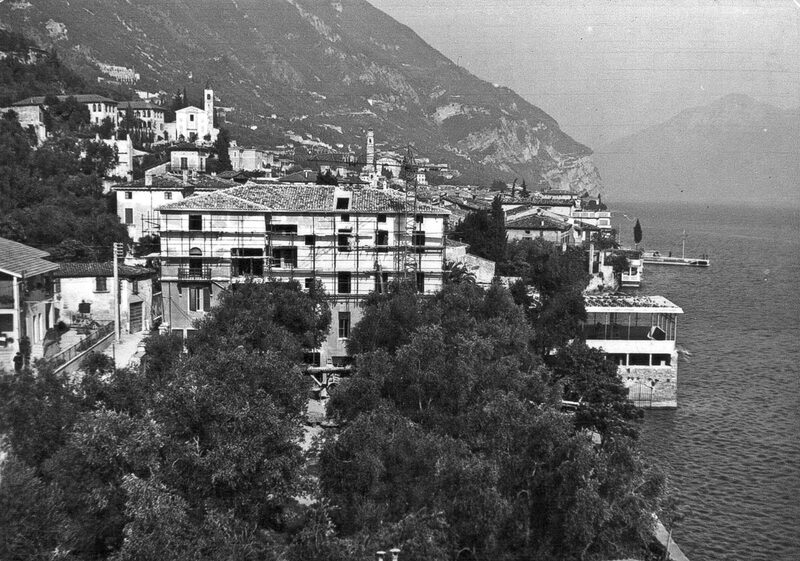 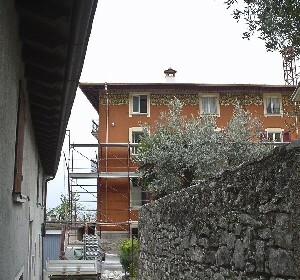 Still today, as of old, it is fascinating to see how, on Lake Garda, so close to Central Europe, it is possible to live amidst the colours and atmospheres typical of the Mediterranean. 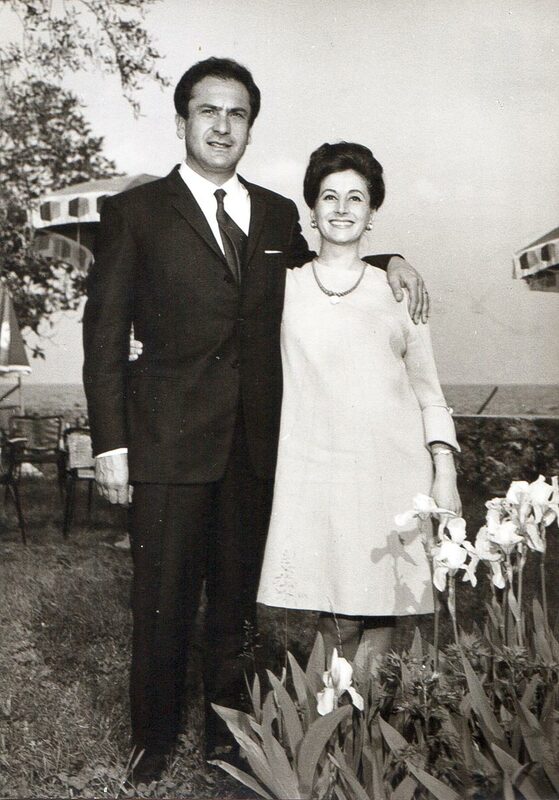 In 1965 Arnaldo and Amelia decided that the time had come to improve the services offered by their little guesthouse, and so they extended it, and the old look-out point became the current dining room. 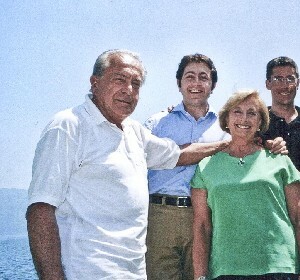 Their children, Bianca Maria, Valeriano and Antonio, lived through these vital moments of change first hand. 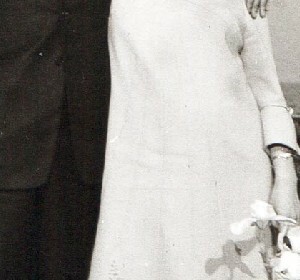 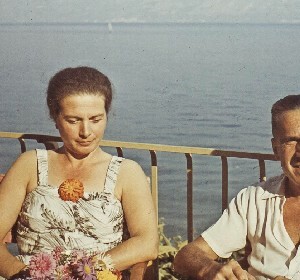 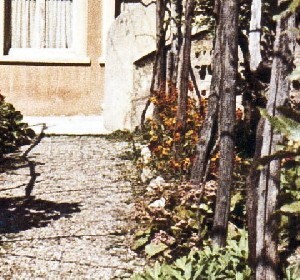 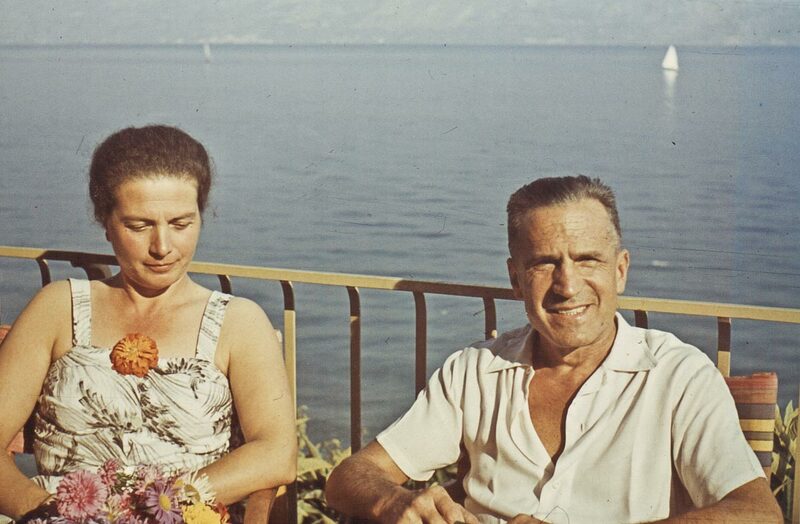 Valeriano followed in his parents’ footsteps, and with his wife Costantina, he ably equipped the hotel with all the comforts expected in the 1980’s; the couple are still a point of reference for the long-standing guests who for generations have been returning to spend their holidays at the Gardenia al Lago. 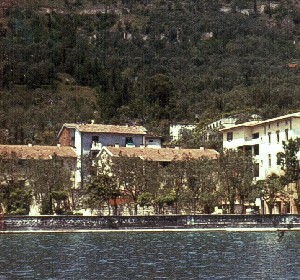 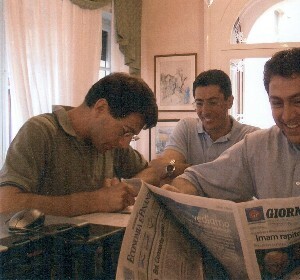 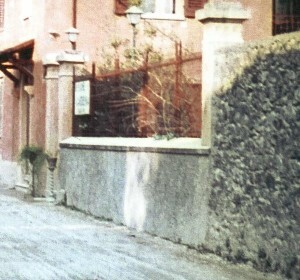 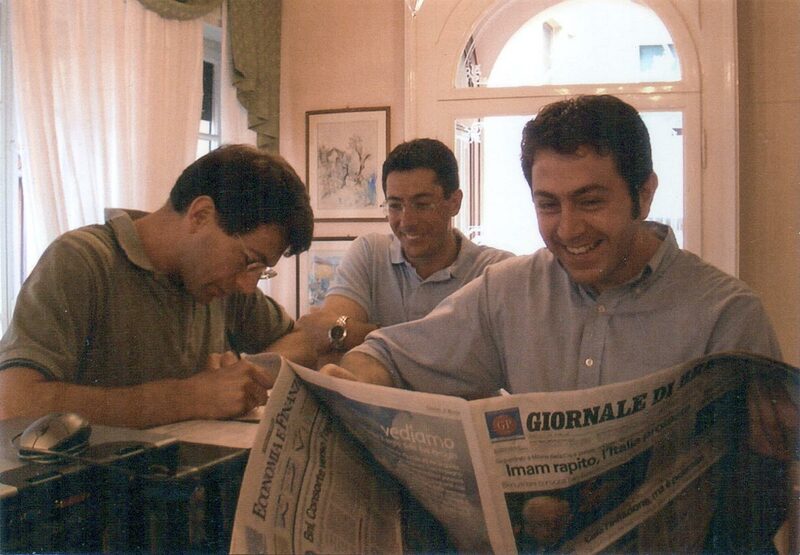 Since 2000 the management of the Hotel Gardenia al Lago and the Hotel Du Lac, bought by Valeriano and Costantina in 1975, has been handed down to their sons Valerio, Giorgio and Andrea, who, having “grown up” in the family hotels, have gradually absorbed their spirit and tradition, and their passion has become their work. 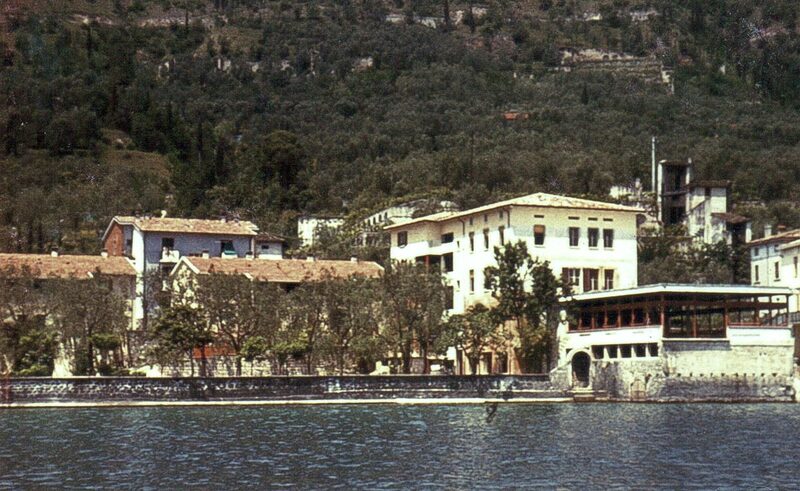 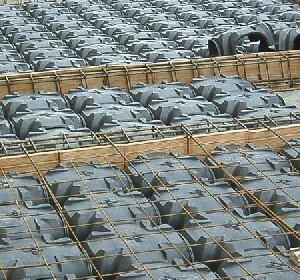 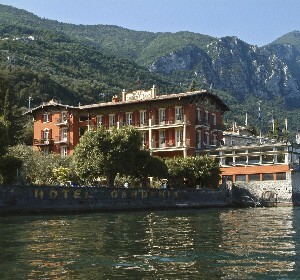 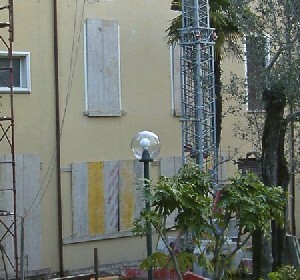 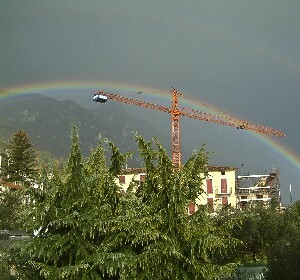 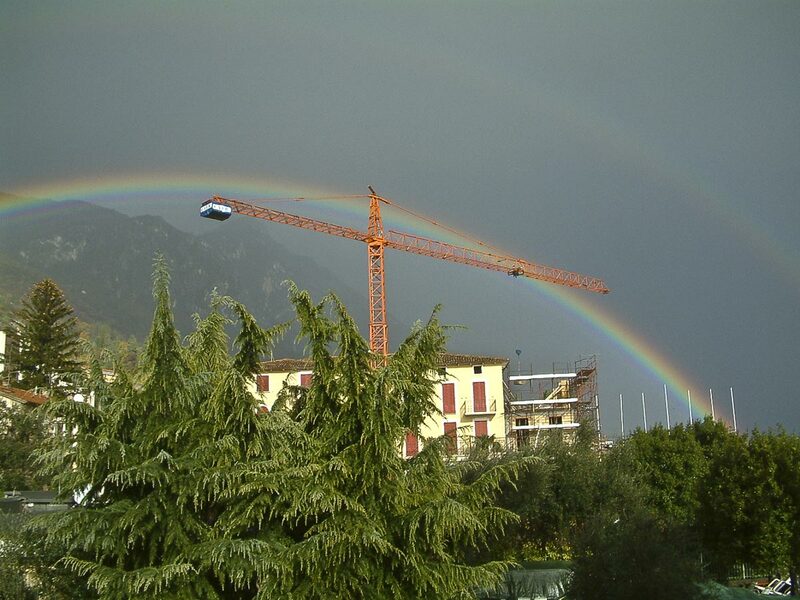 In 2002 the time was ripe for a radical renovation and adaptation of the Hotel Gardenia al Lago. 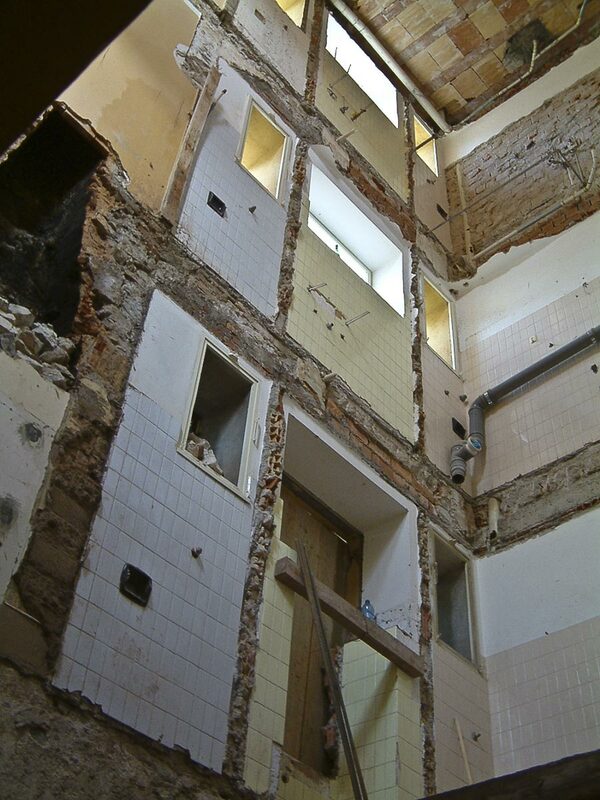 The alteration work was lengthy and tough, involving the whole family for four winters on the trot. 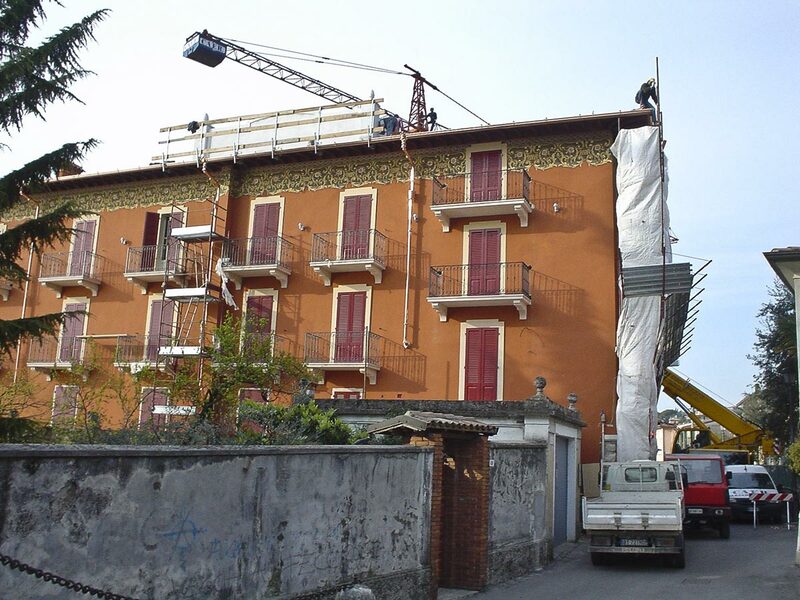 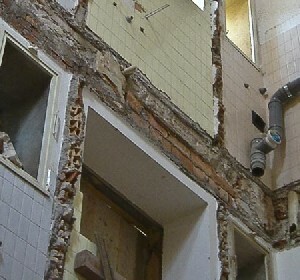 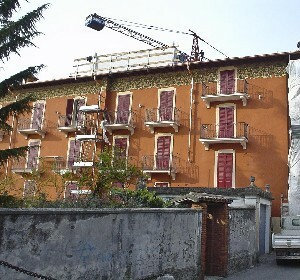 There were partition walls to be rearranged, the en-suite bathrooms to be completely redone, the rooms to be sound-proofed and fitted with independently-controlled air conditioning and broadband connections, fire-safety standards to be met, and then furniture, fabrics and other items to be found in order to restore this hotel to resemble the original house built by great grandfather Emilio back in 1925. 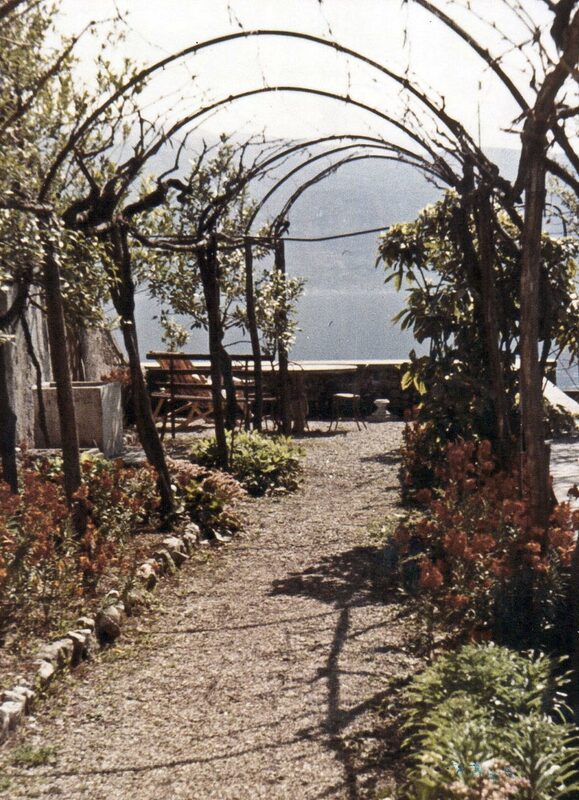 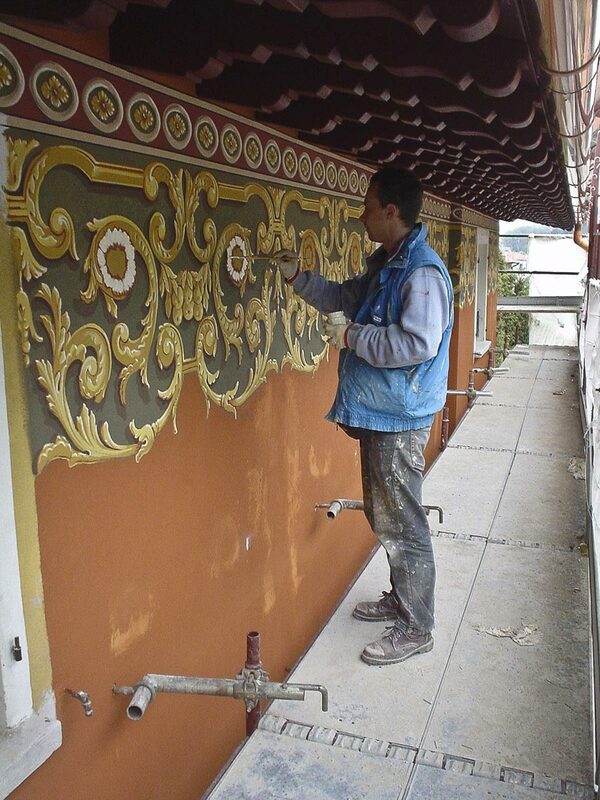 For Valeriano, this work brought back many memories that had been clouded over by everyday life, and gave him a sense of refreshment and rejuvenation, as he got back in touch with the carefree lad within him, who had spent his days on the look-out point, on the veranda and in the garden. 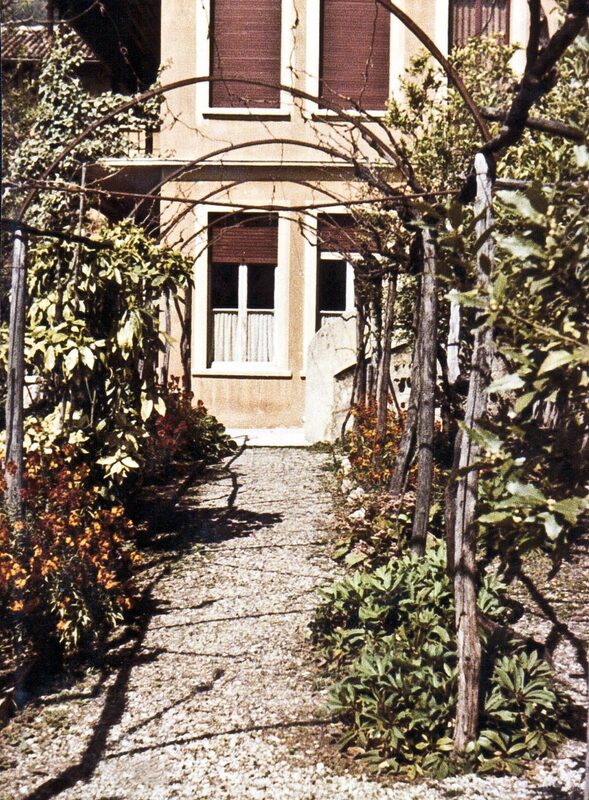 It is this same sense of tranquillity that our guests now enjoy, as they rediscover the familiar atmosphere that is all-too-often lost in our frenetic modern lives. 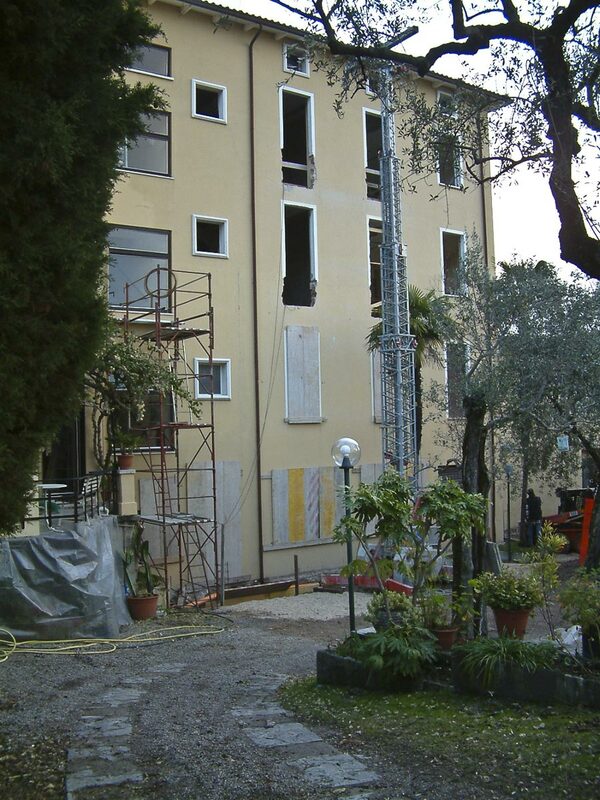 The renovation process is not over; we still have several years of hard work and self-sacrifice ahead of us in order to complete our project. 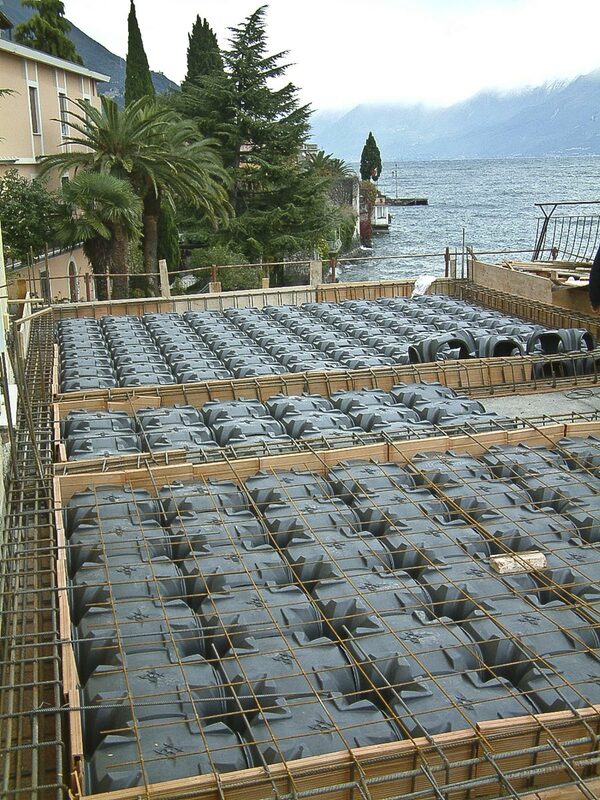 If you have the patience to follow us into the future, we are confident you will not be disappointed, indeed we will continue to amaze you with our new and original ideas.